Grid King is a revolution in grid trading. The main focus when developing the EA was safety, by eliminating the margin-call risk which is usually associated with most grid systems on the market. 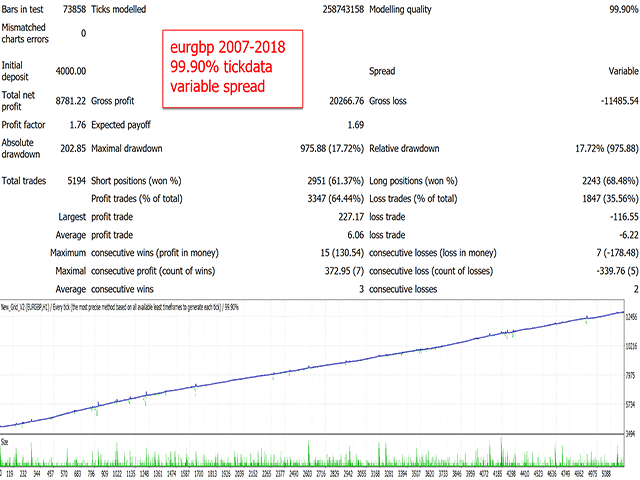 It also strives to achieve much higher returns than the average grid system, by spreading risk amongst multiple pairs and strategies which all have a limited effect on the account-equity. Where almost all grid systems will blow your account when things get bad, Grid King will only take a small loss and recover very fast. More details about this in the blog. The EA is also already optimized for 29 pairs, and more will follow in the future. In theory, any pair or market can be optimized for the algorithm. 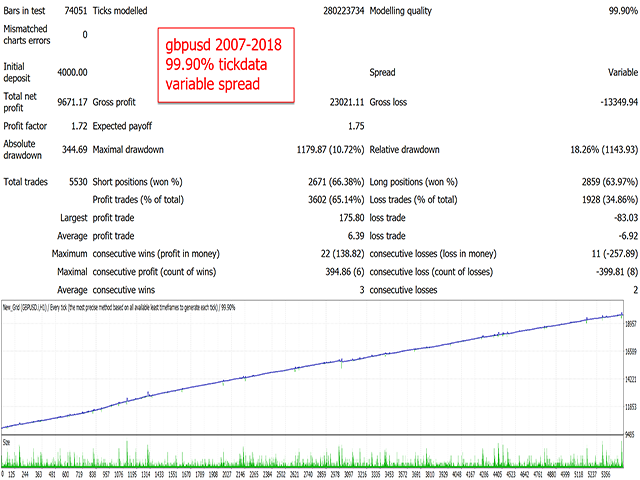 Easy Setup: With the OneChartSetup, you can run all pairs from a single chart! 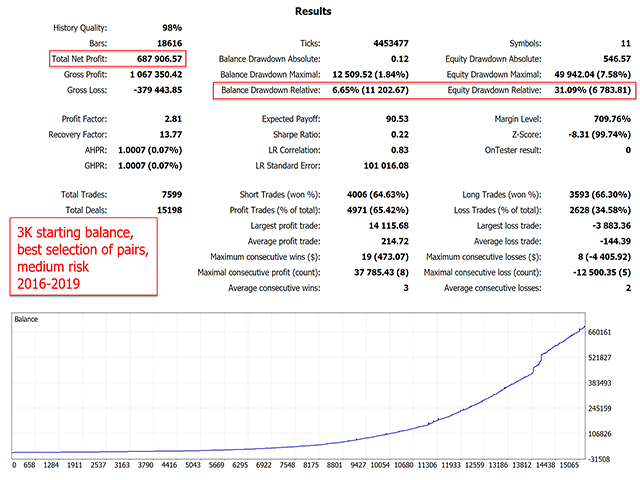 Run 1 chart for each pair or use the OneChartSetup to run all pairs from 1 chart. balance > 100$ but < 1000$ -> use cent account! Recommendation: the more pairs you run, the lower your risk setting should be. Great results within two weeks. I am testing with two accounts. One on "medium" and one on "conservative". 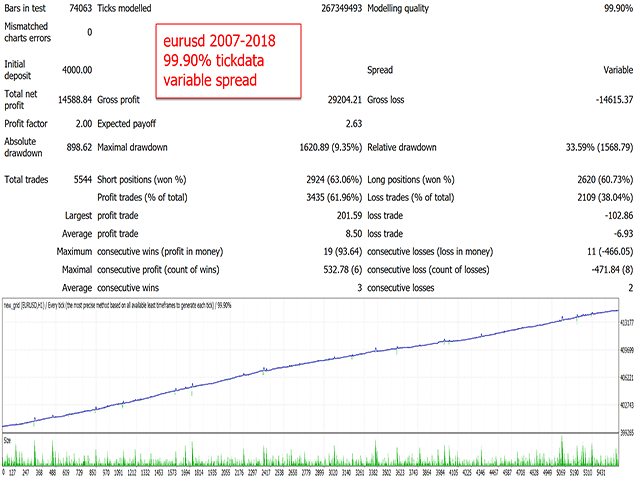 Well, we had some turbulent times so far ( EURAUD stop out in Dec 2018 and at end of Jan 2019 we had it on XAUUSD) but as I see on my demo and now also real account the EA is giving stable profits and is eliminating the SL we had. The author is permanently improving the EA and answering fast on messages. Each user has to keep in mind that one day a stop loss in hight of the selected risk may occur. This is part of the "game" and each user should be aware of it. Even that maybe also 2 currencies may hit the SL at the same time. UPDATE 01.04.2019: +23%!!!! 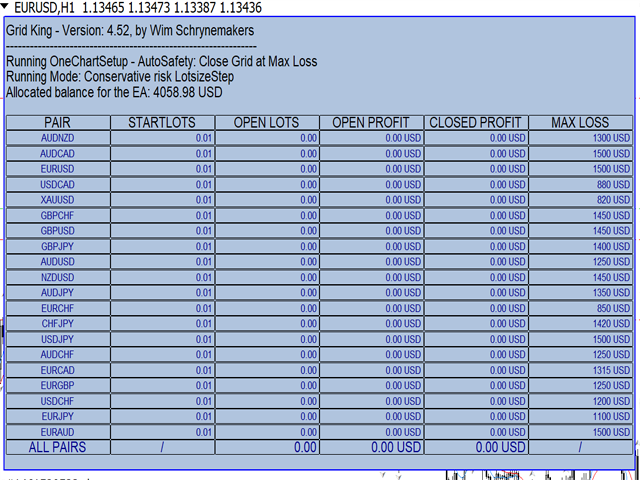 in March total performance on my real account with Grid King running on conservative risk (a few days were running on medium risk). Thank you for nice EA! - Fixed some bugs regarding "divide by zero"